upper/lower case requirements upper/lower case requirements (required)All Lower CaseAll Upper Casefirst letter upper case, rest lower case. 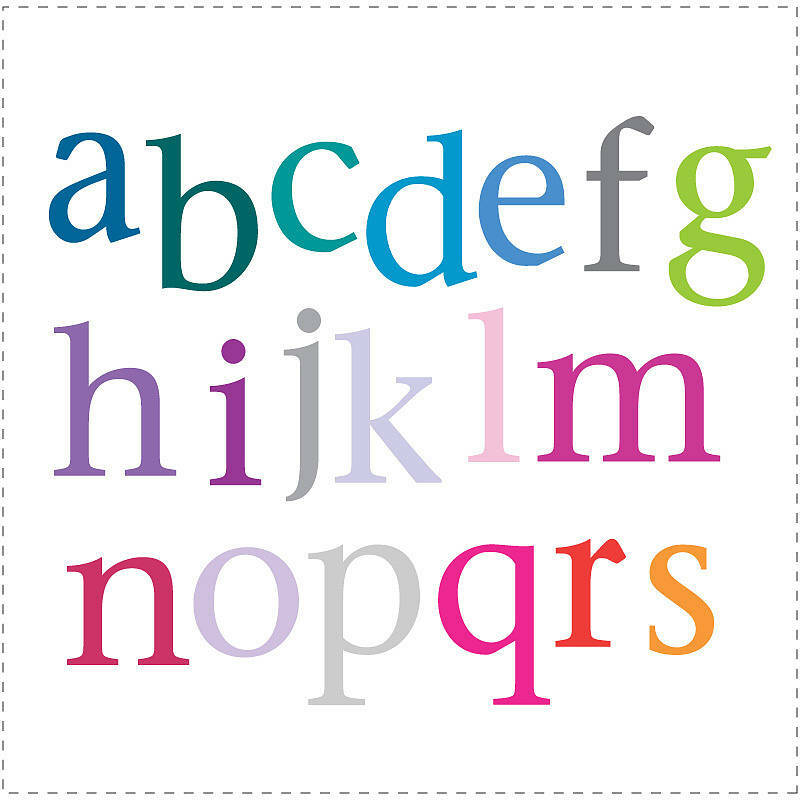 upper/lower case requirements (required)All Lower CaseAll Upper Casefirst letter upper case, rest lower case. 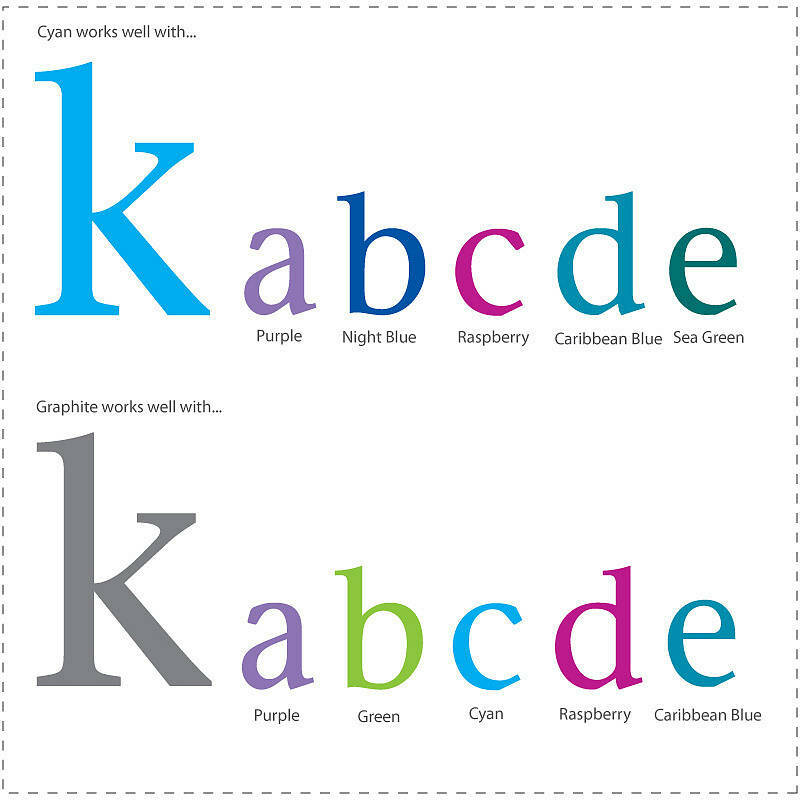 upper/lower case requirements (required)All Lower CaseAll Upper Casefirst letter upper case, rest lower case. 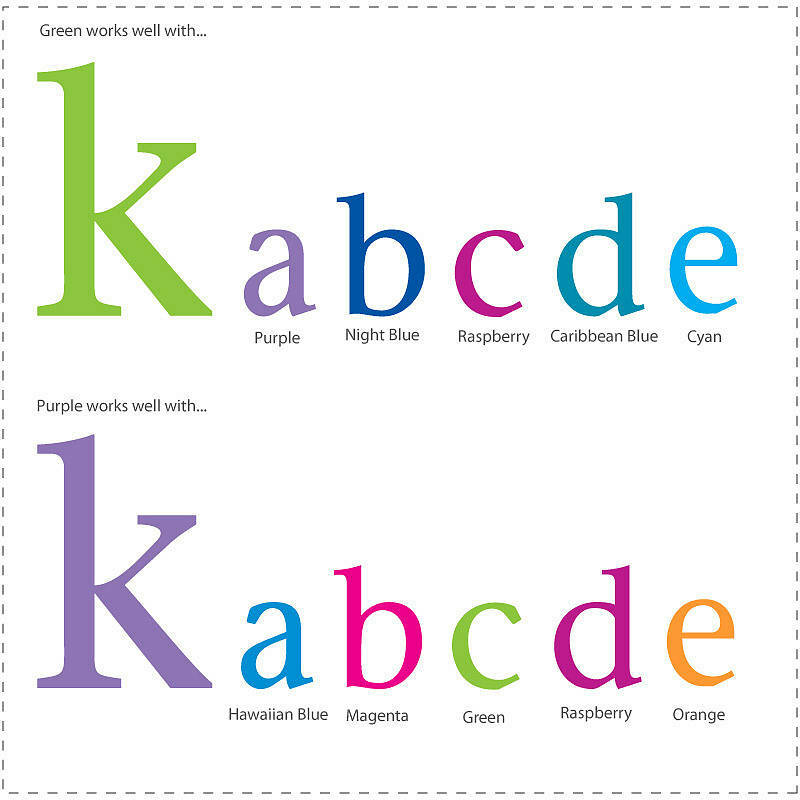 upper/lower case requirements (required)All Lower CaseAll Upper Casefirst letter upper case, rest lower case. Our wall letter stickers for children are a fun way to create a unique personalised room feature. 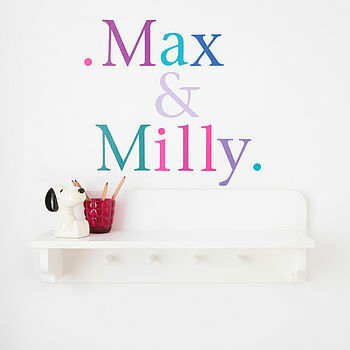 You can use them for names, dates of births or for a special word or phrase. And with the mimimum of effort create a stylish room feature that looks stunning. Our wall letters are quick and easy to apply. The letters come as individual stickers.You simply peel and stick. They are removable and can be repositioned. The stickers can be used on most smooth surfaces including, paint, wallpaper, plaster, wood and glass. You can chose exactly how you want your name to look. 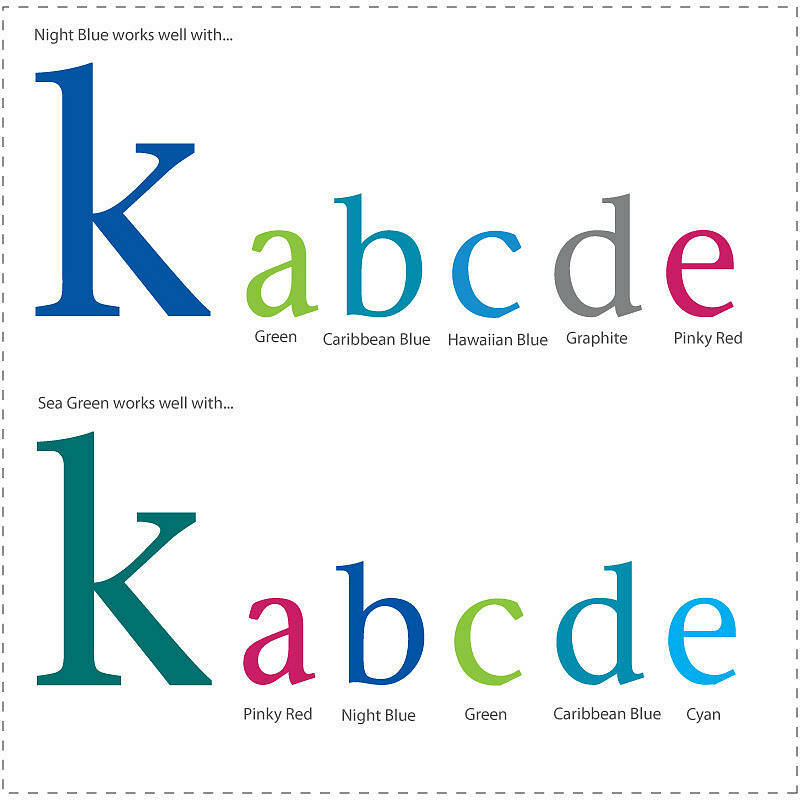 You are able to specify the case combination i.e upper and lower case, upper case or lower case only and with our bespoke colours service the colour/colours of your choice. We have 19 colours for you to choose from. 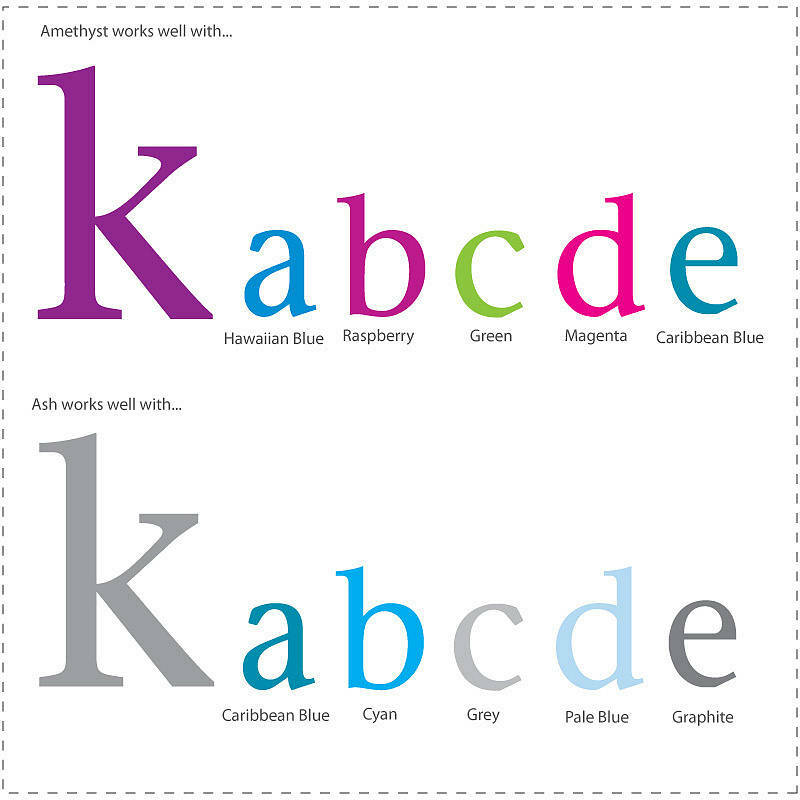 You can have all one colour or a mix of several colours, its entirely down to the look you are creating. 2. Enter the letter quantity. 3. 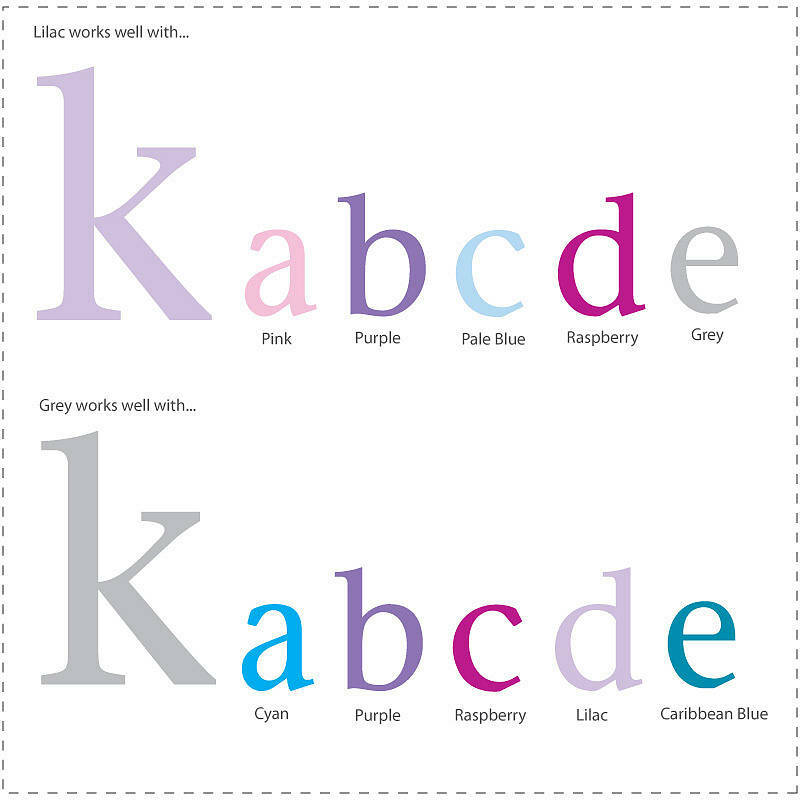 Select the letter type i.e upper/lower case. 4. Type the letter(s) or number(s) required in the box provided. 2. 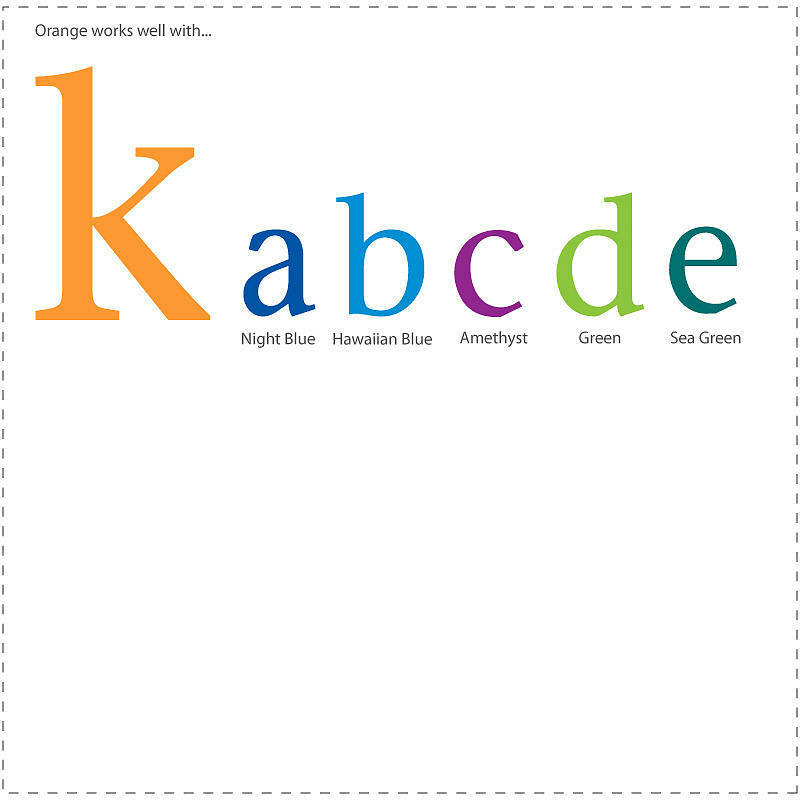 Then by colour by letter type place your order using steps 1-5 above. 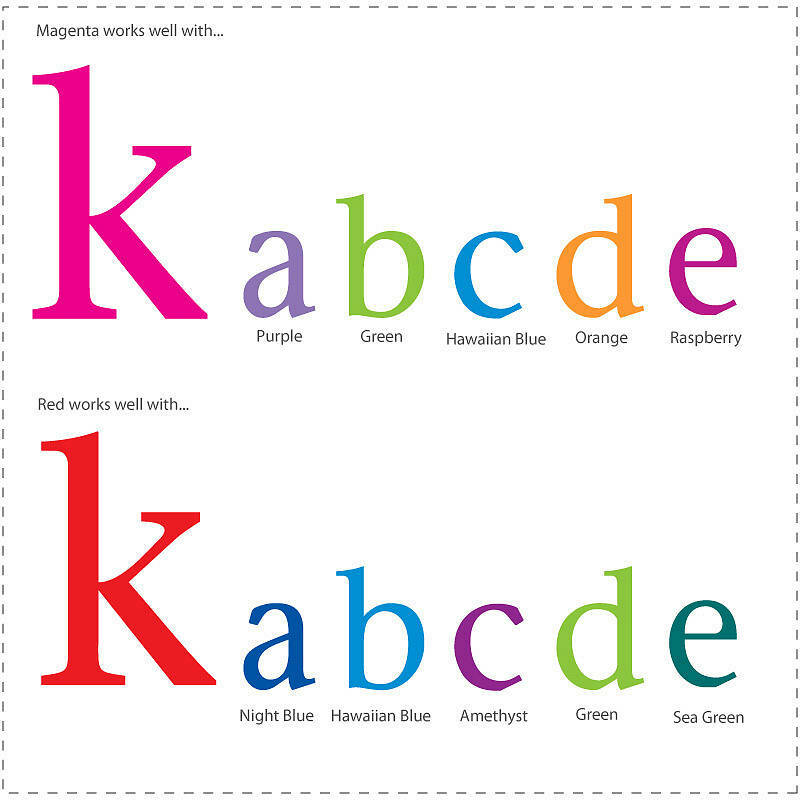 Select magenta. 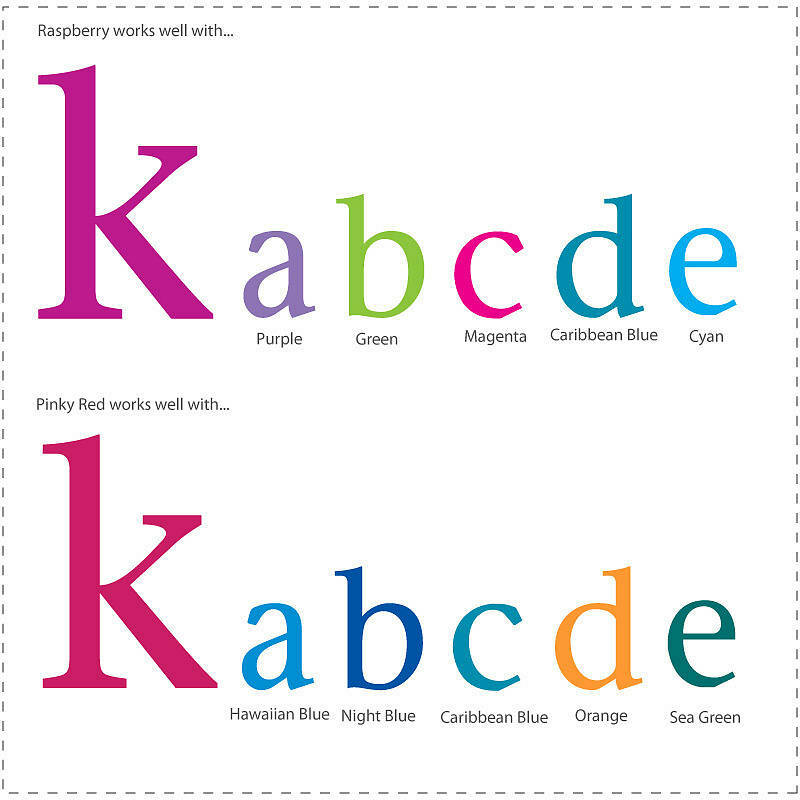 Select letter type upper case only. Type E in the box provided. Click add to basket button. Then select sea green. 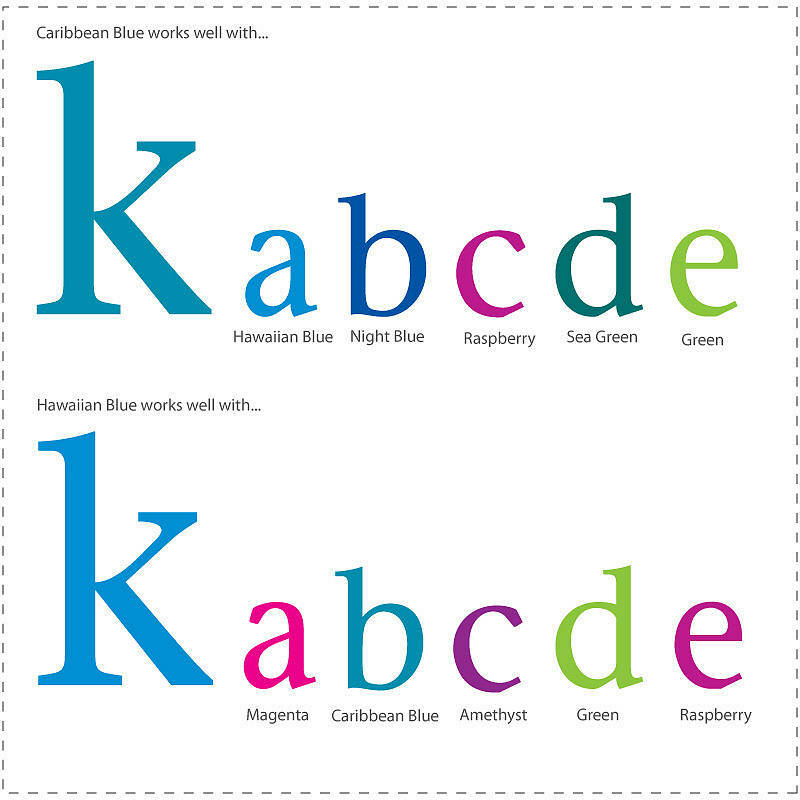 Select letter type upper case only. Type S in the box provided. Click add to basket button. Repeat this process until all your requirements are entered. Printed on a premium, self adhesive and removable, matte wall art vinyl. Precision cut so there are no borders and that once applied will look as if they have been painted onto the wall. Our stickers can be used on most smooth clean surfaces including, paint, wallpaper, plaster, wood. Our vinyl stickers can be used on most smooth clean surfaces including, paint, wallpaper, plaster, wood. All you need to do is peel the precut sticker and position, then smooth down into position using a soft dry cloth to remove any air pockets and to make sure all the edges are firmly stuck. That's it. They are removable and they can be repositioned during application. This product is dispatched to you by Kidscapes. 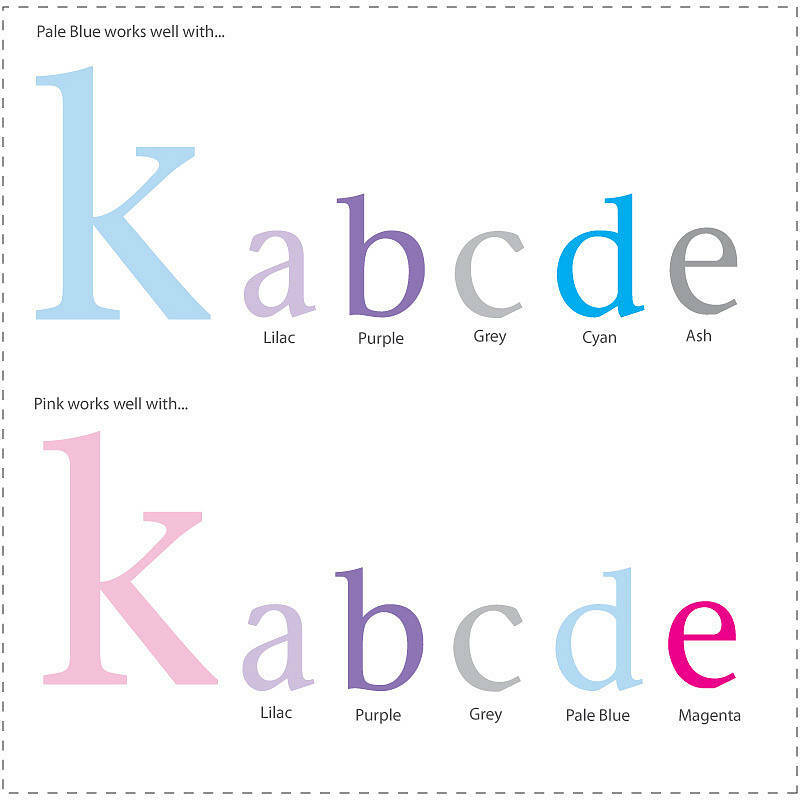 Products from the bespoke colours service are printed to order so they will take a little longer than normal to post. We aim to ship bespoke orders within 5-7 days of receipt of order.